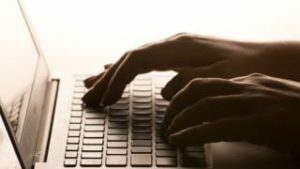 Ministers should not “criminalise thought” with plans to prosecute people who view extremist content online, the UK’s terror watchdog has said. But Max Hill QC said “thought without action” was not terrorism and it would be “quite wrong” to create new laws which treat it as such. Downing Street said a “clear message” needed to be sent to terrorists. Following the spate of terror attacks, Theresa May declared “enough is enough” and vowed to crack down on extremism. 1. What would you consider acts of terrorism? Do you think it is justified? 2. Why do you think terrorism is acted more in some countries than others? 3. Extremism is generally used to describe ideologies that support terrorism, racism, xenophobia, left- or right-wing political radicalism and religious intolerance. How does the internet help in the spread of extremism? What makes people interested and stream terror-related materials online? 4. Currently, it is a crime in the UK when a person downloads and stores extremist contents online. On a similar note, Japan also had just passed the controversial anti-terror law. Are you familiar with this? What is your take on criminalizing “thoughts without action”?